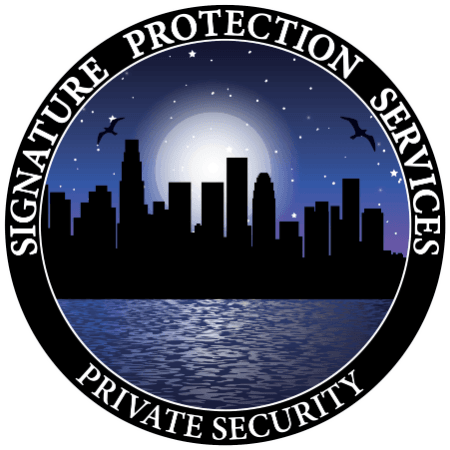 Special Event Service - Signature Protection Services . Signature Protection Services offers special event security officers for any event. We provide services for events and venue security, from red carpet awards to private weddings and everything in between. Every event is different with it’s own set of challenges, but we still provide the same 5 star service and security to all of our customers. All of our security guards are fully vetted, insured and trained in customer service, health and safety, crowd control, conflict management and advanced first-aid; making them a valuable asset at any event. We operate a strict recruitment process and only employ the best security officers in the Los Angeles and Inland Empire area. We believe in providing not only a premier security service, but also a personable customer experience for both your customers and guests. We will work with you from the very beginning, to plan and manage all of your event security requirements, down to the very finest detail; making sure that everything runs like clockwork, and nothing is left to chance. We can provide all of your event security needs, including but not limited to transportation by Limousine and Custom Suv's. We have vast experience in providing event security guards in the area for all kinds of events, both big and small, public and private. Our professional security guards are well trained in maintaining a pleasant and secure environment for all to enjoy. Please contact us for an initial consultation for your next event.